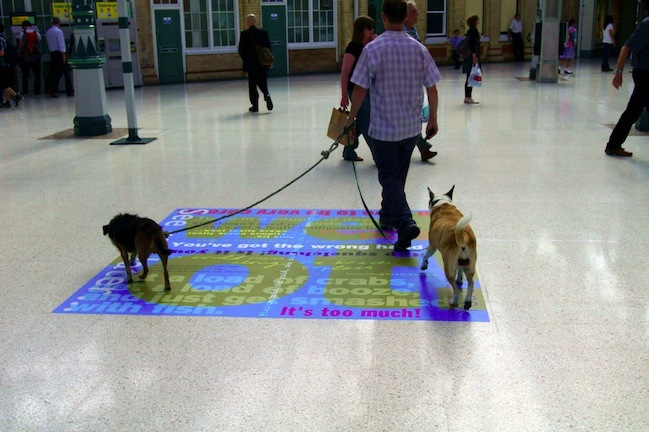 A photographic installation at Eastbourne Station. The work was commissioned by LLL Productions as part of Word County, a project initiated by East Sussex Arts Partnership to celebrate the spoken and written word in East Sussex, with an emphasis on participation and communities. Promenade was a celebration of Eastbourne seafront in one very long image and a collection of words. 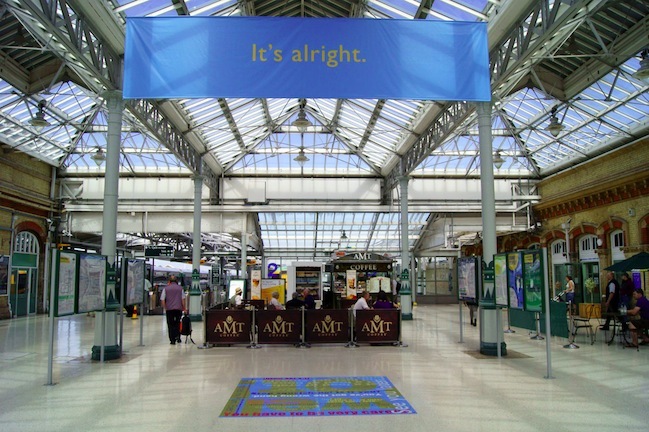 Internationally acclaimed photographer, Malcolm Glover produced an 8 metre long panoramic timescape depicts people chatting on a row of benches on the promenade whilst the text beneath – on a floor vinyl designed by Michael Munday – was drawn from the overheard fragments of passing conversations on Eastbourne recorded by Mark C. Hewitt. 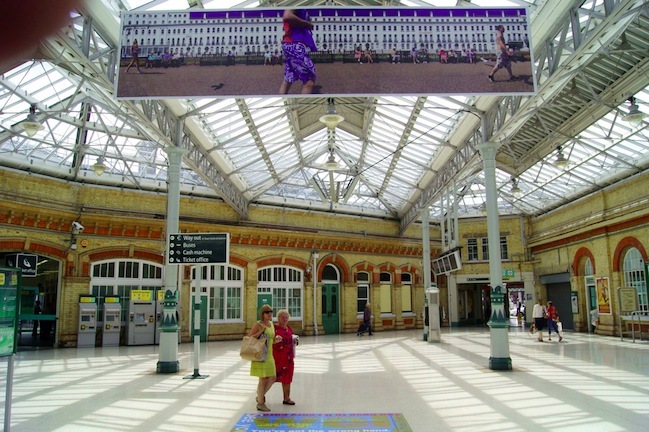 Glover's panoramic timescale was hung from a crossbeam in the roof of Eastbourne Station from July to September 2012. The statement on the reverse of Malcolm Glover's panoramic – 'It’s alright.' – was derived from an interview session led by Mark with a group of local 16 year olds, who were asked their views about life in Eastbourne. It was the first thing that was said, and whilst at first it seemed less than enthusiastic; after further reflection the statement could be seen to offer a positive message that in the troubled economic times of 2012 (and since) was worth having writ large.